Newly diagnosed with peripheral neuropathy? At Premier Care Physiotherapy, our team of highly qualified therapists understand that the symptoms of peripheral neuropathy can take a serious toll on our patients lives. That’s why we make it our priority to not only help our patients understand their condition, but provide them with treatment options and pain management solutions that enhance their physical health and quality of life. Combining the latest technology, with our in-depth knowledge and clinical experience, our team of therapists deliver professional treatments to neuropathy patients seeking relief in Richmond Hill. Peripheral neuropathy is a condition that arises as a result of damaged peripheral nerves in the peripheral nervous system, and this affects over 20 million adults in North America. The peripheral nervous system functions to send information from your brain and spinal cord (central nervous system) to the rest of your body.When these nerves are damaged, patients often experience weakness, numbness and pain in their hands and feet. This pain is often described by patients as a stabbing, burning, or tingling sensation. Many types of neuropathy are idiopathic, meaning that the condition spontaneously arises from an obscure or unknown cause. However, many studies have shown that a number of underlying medical conditions–the most common being diabetes–can also trigger neuropathy. Hereditary health causes passed down from generations of family members. Have you or a loved one noticed deteriorating strength, mobility and overall function as a result of your peripheral neuropathy? Following a diagnosis, consider seeking help from a medical professional, such as a licensed physiotherapist. Physical therapy can help maintain or improve muscle strength and mobility in patients with peripheral neuropathy. When done regularly, treatment plans can also help patients reduce or manage their neuropathic pain and help control blood sugar levels of patients with diabetic neuropathy. Need a physiotherapist in Richmond Hill to help manage your peripheral neuropathy pain and symptoms? 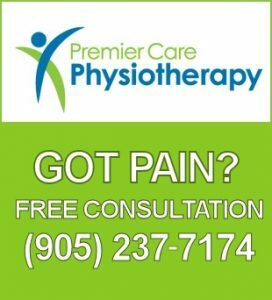 Get in touch with our team at Premier Care Physiotherapy today to schedule a free consultation.